Poulsbo is the 4th largest city in Kitsap County, Washington. 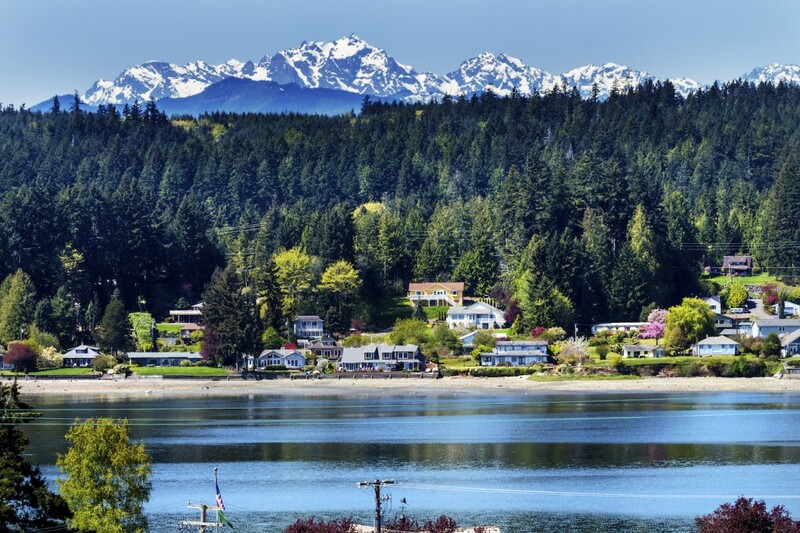 Located on Liberty Bay, residents of Poulsbo enjoy its beautiful scenery and small town charm. The modern history of Poulsbo dates back to the arrival of Scandinavian immigrants in the 1880s. Before their arrival, however, the Suquamish Native Americans had names for many of the areas in what is now Poulsbo. Their ancestors occupied villages along the Liberty Bay Shoreline for many, many years — hunting along the floodplains and in the forests, fishing in the streams and bays, and also harvesting fresh shellfish along the shorelines of the bay. In 1855, the Treaty of Point Elliott was signed, which resulted in most of the Suquamish people in the area relocating to the Port Madison Indian Reservation. To this day, however, the Suquamish people will exercise their rights to their historical territory, including Poulsbo, for various natural resource and cultural rights. As the Scandinavians arrived, Poulsbo was founded and settled by Jorgen Eliason of Norway. Initially, the main method of transportation was water, and supplies were brought over from Seattle by boat. Today, as a nod to the city’s early immigrants and history, downtown Poulsbo maintains a heavy Scandinavian theme and feel, causing its appeal as a well-known tourist destination. There are several parks and open spaces in the area, perfect for those who enjoy all that nature and the great outdoors has to offer. Walking, hiking, biking, and fishing are just some of the activities enjoyed by Poulsbo residents and visitors. Today, Poulsbo is a growing and thriving community with attractive amenities that are enjoyed by tourists and residents, and that encourage people to move to the area. With a charming downtown featuring many local storefronts and shopping areas, including Viking Avenue, College Market Place, and Sly’s bakery- who’s freshly baked pastries can be smelt all down the street- Poulsbo has so much to offer to both its residents and visitors. If you are thinking that you may like to call Poulsbo home, we would love to help you in your search for real estate. No matter what your search is for, we are confident that we can help you find just what you are looking for in Poulsbo. If a low maintenance lifestyle sounds good to you, then let’s search for a condo. If you need something bigger we would love to show you traditional single family homes, with plenty of room to grow. There are established neighborhoods and also new construction, which allows you greater control in choosing everything in your home, from floor plan to custom finishes. To get started in your search, give us a call or connect with us online today. We look forward to hearing from you.